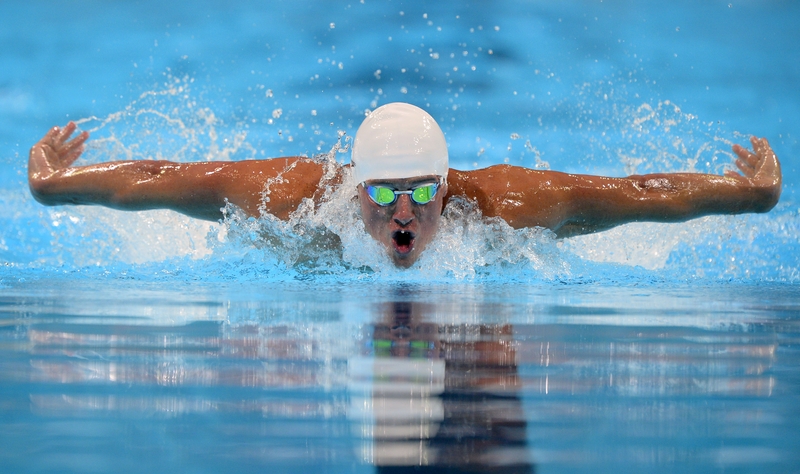 Swimming, a sport which keeps you active, refresh and helps to maintain your body structure. You just need to be friendly with water and be passionate to learn and keep you fit. Are you ready for workout into a pool or to make a big splash in lake? Do you ever wonder what you should do before heading for swimming? Many of the athletes tend to think they just need to jump and take a deep dive, swim a certain distance and after some speed work and then get busy with their schedule. This is not the way to train yourself but everyone cannot afford a trainer to meet your goals with specially designed workouts. You just need to take a dive into the beginner's guide. Swimming is a great opportunity for all sort of body fitness workout. Whether you are an athlete, a sports person or dealing with arthritis problem. Swimming is the ideal exercise for all body types. Whatever your age may be, swimming is the best way to keep you fit. It is a great way to continue your routine your workout and exercise. Swimming doesn't need to be threatening, you should start learning with the proper forms, gear, and workouts. Swimming is a whole-body workout, it strengthens heart and muscle while increasing endurance and flexibility of the muscles. You can replace running with swimming, if you want to lose weight, it can be the great option for calorie burner. Getting started with swimming takes building capability, patience, zeal to learn the basics etc. learn the steps one by one. Start with getting comfortable with water. Try some basic exercises and laps and get comfortable with kickboards. Try basic steps gear and learn proper forms and postures. Make yourself comfortable with breathing exercise and get command on the breathing techniques. Because breathing in water is different from breathing on land. In this process, you exhale out in the water and inhale when you pop up your head. Initially, you should practice doggie paddling, breathing at the end of the pool. Before starting water workouts, you need to get familiar with water before doing butterfly strokes. Start swimming practice with walking around the water and hold an edge of the pool while paddling with legs. Learn to tread water and rhythmically moving and simply kicking is the right way to stay afloat in water. Then keep practicing basic stroke laps and increase your endurance. Such steps will increase your capabilities sand strengths day by day, and you will become good in swimming.